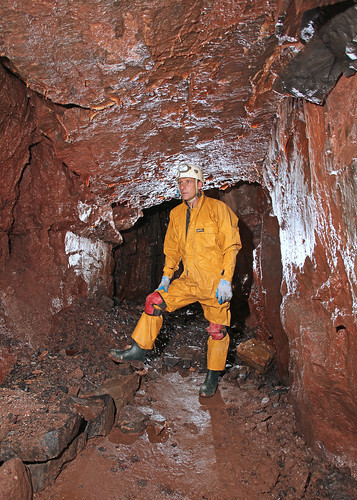 Having arrived at South Wales Caving Club for our dig weekend, only to find that the week's rain had completely filled the Brickworks Dig, we had to hastily change our plans. Splitting into two groups, one party set off to OFD II, while the second party decided to use the pumping equipment we had brought for the dig to open the sump into Cwm Dwr Two. 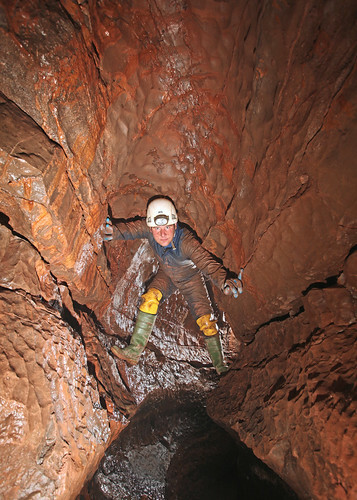 Despite it's close proximity to the South Wales Caving Club, Cwm Dwr Two is a rarely visited cave. 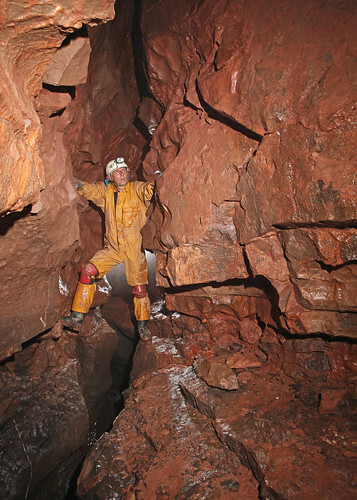 We set up the generator on the surface in the quarry and ran cable down to the sump and installed one of our pumps, connecting it to the in-situ rubber hose that runs from the sump to drop down the pitch beyond. 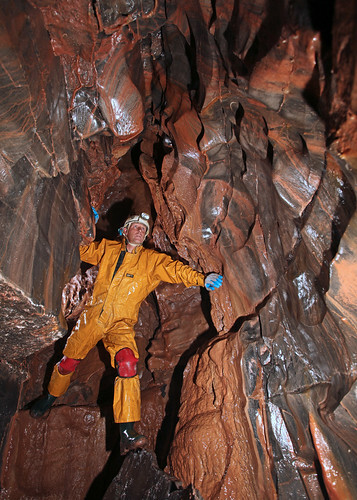 The roof of the sump has been modified, so a minute airspace exists, and as we lay in the water connecting the pump you could feel the enticing draught from the cave beyond. After setting up the pumping gear we returned to the surface to collect camera equipment to photograph the passages up to the sump while it was draining. Due to the weather the sump was filling at a rate very close to what we could pump it out, so it took nearly an hour to drain it. Back on the surface to pack away the gear before heading into the cave, Brendan trod on Keith's glasses that were resting on the concrete plinth by the side of the entrance. After donning the specs for comedy effect Keith then managed to twist back the Poundland specials back into something resembling their previous state. Steve Wallis in the chamber at the bottom of the fixed entrance ladder. 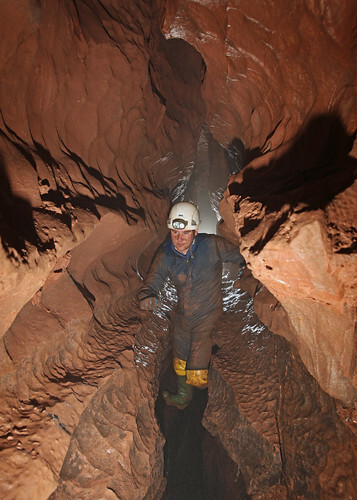 Steve Wallis in entrance series to the cave. Steve Wallis in the crawl that leads to the first sump. Crawling through the drained sump we headed to a junction where we met a stream coming in from the right and then proceeded to head downstream to the left where we soon arrived at the head of the pitch. A single ladder took us to the bottom of Default Chamber, where we had a quick look a sump and a dig at the top of the chamber to the right. The way on was then to follow the stream passage ducking under the spray of the water coming down the pitch as we entered the meandering Maine Streamway. The passage started as a walk, with odd climbs up and down to progress before the passage became more rift like, and progress was then by traversing and following the tube in the top of the passage. When we arrived at the last section of streamway we could again drop into the stream where it was followed until the roof gradually dropped in height towards water level as we met the downstream sump. Derek Robertson traversing in the roof of the rift passage. Derek Robertson in the lower stream passage. Steve Wallis in lower stream passage. I've added the short video I took on the day.